25 NEW INDIVIDUALLY STYLISH APARTMENTS. Liberty House is a place that appeals to individuality, independence and embraces everything city living has to offer. A spirit that demands the best ideas, tastes and surroundings. Whatever it is that you want. Whatever your interest. We have the home that makes it possible. Our one, two and three bedroom apartments have been designed, built and finished with upsizers, downsizers and aspirational first-time buyers in mind. Liberty House offers individually designed, peaceful apartments for those who want a lifestyle of convenience in Hull’s cultural heartland. 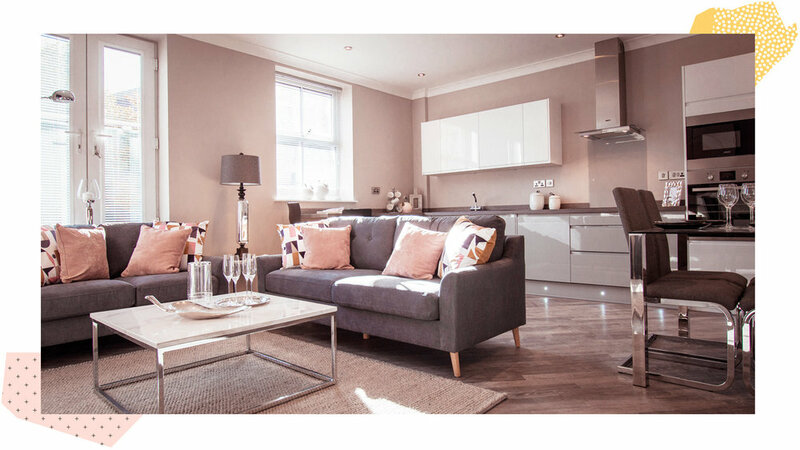 Each apartment boasts living spaces of unrivalled quality. Bright, spacious living areas and contemporary rooms where high-tech features meet old style charm. Liberty House has been registered with the Government ‘Help to Buy’ Scheme. With ‘Help To Buy’ the government will lend you up-to 20% of the purchase price (interest free for the first 5 years of owning the property). The purchaser will require a 5% cash deposit and a 75% mortgage to make up the remainder of the purchase price. be central to what’s happening. Liberty House stands proud in Hull’s Old Town, which was the city of culture’s epicentre, brimming with vibrant restaurants, cafés and bars centered around a re-energised market square, a continental-style indoor market and some of the best museums and art galleries in the country. A short walk to the Marina, theatre district, main city centre shopping and the bus and train station. Fully furnished apartments available to view now. By appointment only.